A State Memorial Service for Fiona Richardson, who died of breast cancer last week, will be held in Melbourne’s Northcote on Thursday 31st August. MAP: Tap here for directions. TIME: Doors open at 9.30am. Guest are asked to be seated by 10am. Public are welcome to attend however, the Vic govt can’t guarantee a seat as there is limited capacity. The service will be live streamed on vic.gov.au. The state government is welcoming cards reflecting on Fiona’s life. In lieu of floral tributes or if you just want to pay your respects, please consider donating to the Safe Steps Family Violence Response Centre here or the Luke Batty Foundation. MARK OF RESPECT: Her family has asked attendees to wear purple, the colour of the suffragette movement. Last year, Ms Richardson told her emotional story of growing up with an abusive father who subjected his family to shocking violence. Tonight, Australian Story will pay tribute by revisiting the piece. It will be introduced by Fiona’s friend Rosie Batty and has the blessing of the Richardson family. 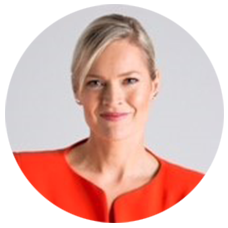 Fiona Richardson was Australia’s first minister for the prevention of family violence, she oversaw our first royal commission into family violence, pushed to get the respectful relationships program into our schools and championed family violence leave for public sector workers. Victoria’s first gender equality strategy has the fifty-year-old’s stamp on it. When Victorian Premier Daniel Andrews asked Fiona to become Australia’s first Minister for the Prevention of Family Violence, he had no idea of her troubled family history. Using her own experience, Fiona fought to raise awareness of the issue and implement changes in government policy. “She achieved so much for victims in a short space of time. Fiona had unfinished business. She wanted violence in the home to stop and she knew for that to happen it would take dedication and leadership over the course of a generation. A State Memorial Service to celebrate her contribution will be held on Thursday 21st August. Victorian Premier Daniel Andrews said the best people in public life were those who lived their values and Ms Richardson not only did that, he said, she demanded the same of everyone. “Under her watch a dark and silent tragedy was brought into the harsh and unforgiving light of a royal commission — and the 2,000 pages of that commission’s final report are her greatest legacy to public life,” he said. Posted in Engaging Voices, The big issues. Tagged in Fiona Richardson, Fiona Richardson memorial, Victorian Minister for Family Violence.